The Regatta Canopy Pole Set allows you to prop the front/side door of your tent to create a covered space. Perfect for taking shade from the sun or light showers. Set up the tent and camo in the woods comfortably when you have the Regatta Canopy Propping Kit Karuna Tent Pole Set. 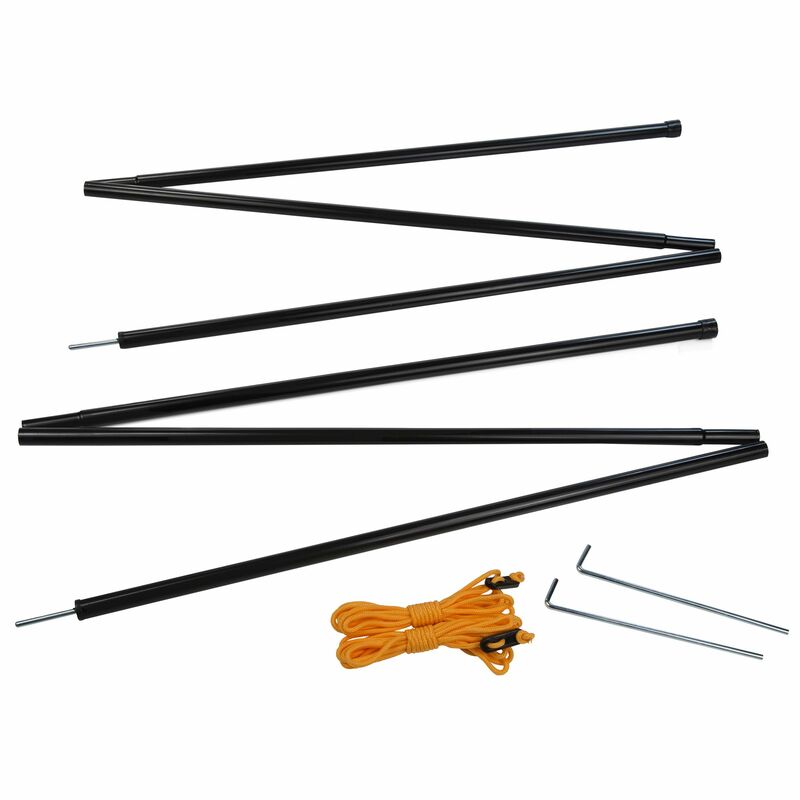 Pitch it in your garden area or in the woods, and this tent pole set lets you prop the front/side door of your tent to form that covered space. It is also ideal for taking shade from light showers or scorching sun. Pole set allows tent doors to convert into canopies. Can be used on all Vester, Atlin & Karuna Tents. Includes 2 x plastic pegs & 2 x guy lines.